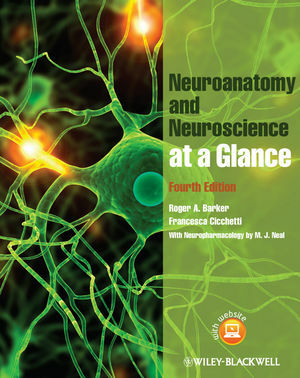 Neuroanatomy and Neuroscience at a Glance provides a user-friendly introduction to the anatomy, biochemistry, physiology and pharmacology of the human nervous system within one, succinct, highly-illustrated volume. The double page spreads begin by summarising the anatomical structure and function of the different components of the central nervous system, followed by a section on applied neurobiology which outlines how to approach the patient with neurological and psychiatric problems and provides an overview of treatment and management options. Neuroanatomy and Neuroscience at a Glance is the ideal companion for anyone about to start a basic neuroanatomy or neuroscience course, or can be used as a refresher for those in clinical training. Companion website features interactive self-assessment questions, case studies, flashcards and revision notes.